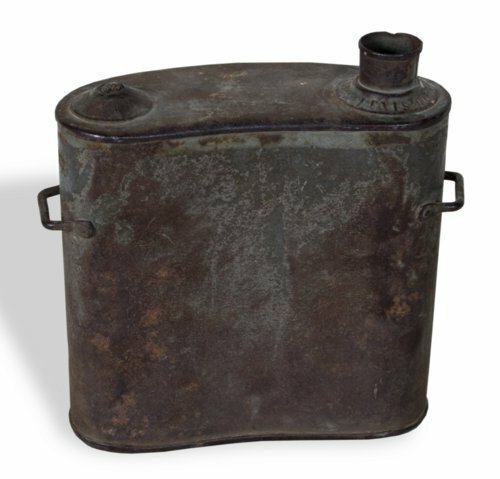 Kidney-shaped metal filter canteen dating from the Civil War. Sergeant William W. Dimond used this canteen during his service with Co. G of the 83rd Pennsylvania Infantry. Dimond had this canteen with him when he was injured at Malvern Hill, Virginia. He was discharged in 1863 and eventually moved to Downs, Kansas.